Former President Olusegun Obasanjo has said that President Muhammadu Buhari’s administration is plotting to slam false charges on him, to pave the way for his indefinite detention. Obasanjo said he was raising the alarm because of the ongoing victimization of Speaker Yakubu Dogara of the House of Representatives and Senate President Bukola Saraki. Obasanjo said this on Friday in a statement released on his behalf by Kehinde Akinyemi, his spokesman he said that Buhari’s government was planning to use fake documents and witnesses against him. 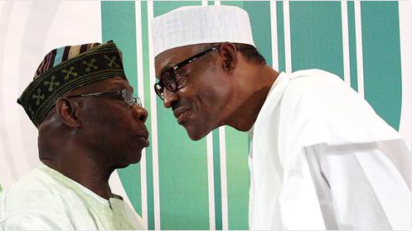 The post Buhari plotting to hang a crime on me – Obasanjo appeared first on Vanguard News.